With clear skies and no wind we all gathered in the quiet carpark of Stoneyholme Golf Course. 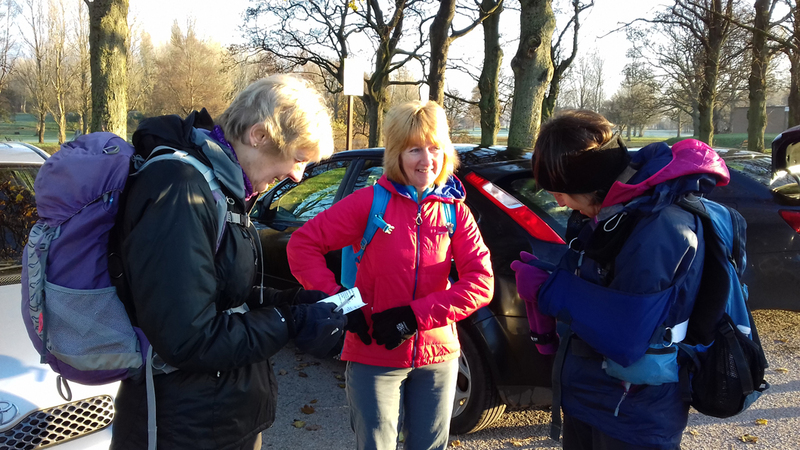 Having kitted up the nine of us set off over the Memorial Bridge and into Rickerby Park. 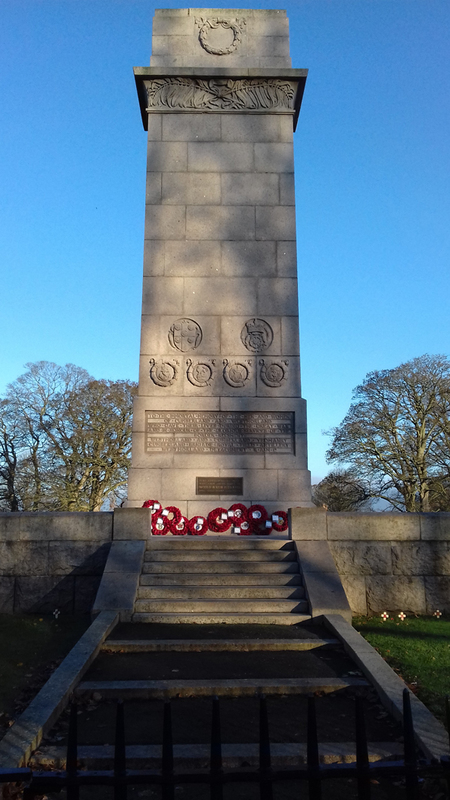 First stop The County Memorial, well adorned with many poppy wreaths in commemoration of the ending of the First World War. Through the park to Eden Bridges and our second memorial. 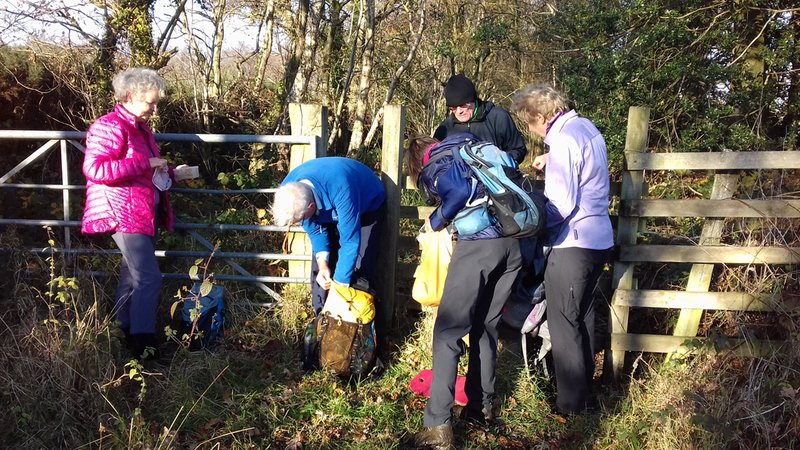 We crossed the river Eden and then followed the river using the Hadrian’s Wall path. 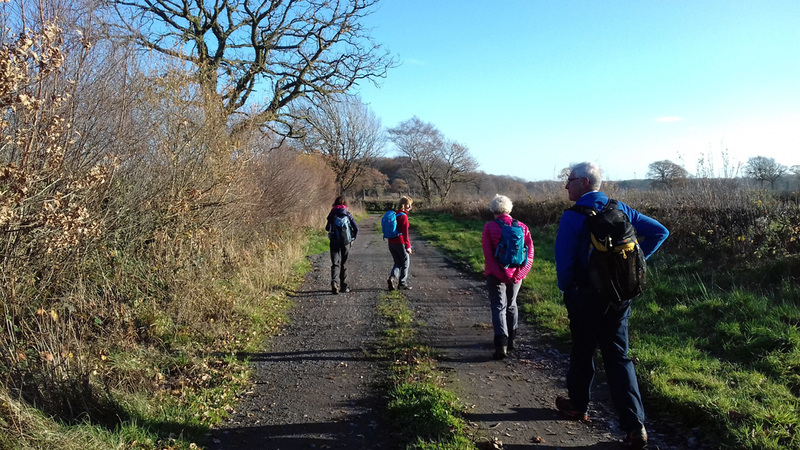 The walking conditions were superb and top coats were stowed away as the sunshine was so warm. Lots of autumn colours to admire and plenty of chatter to pass the time. 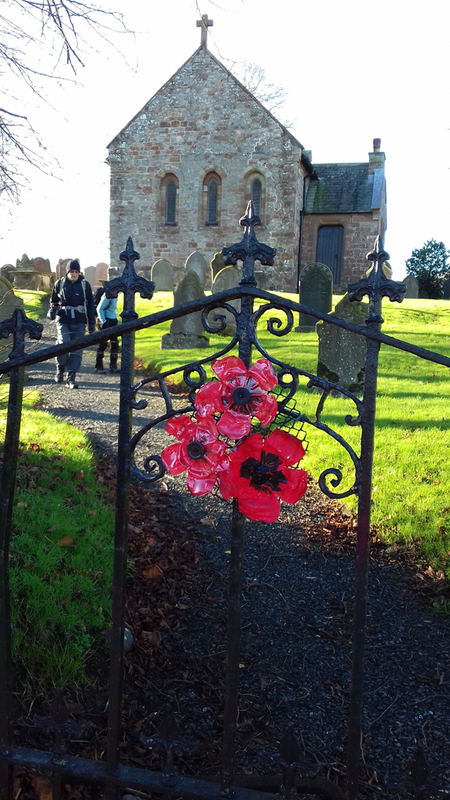 At Kirkandrews-on-Eden we made use of The Pound where walkers are invited to picnic. Taking advantage of the tables we had a comfy coffee stop and read the information board. 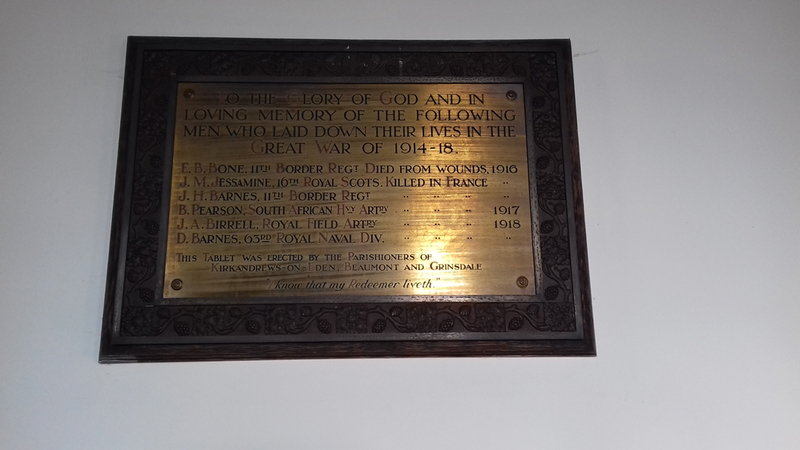 Next stop St Mary’s Church in Beaumont (pronounced Bee-mont) which contained a brass panel as their memorial. Onwards to Burgh-By-Sands (pronounced Bruff-be-sands!! This happens a lot with Cumbrian village names). 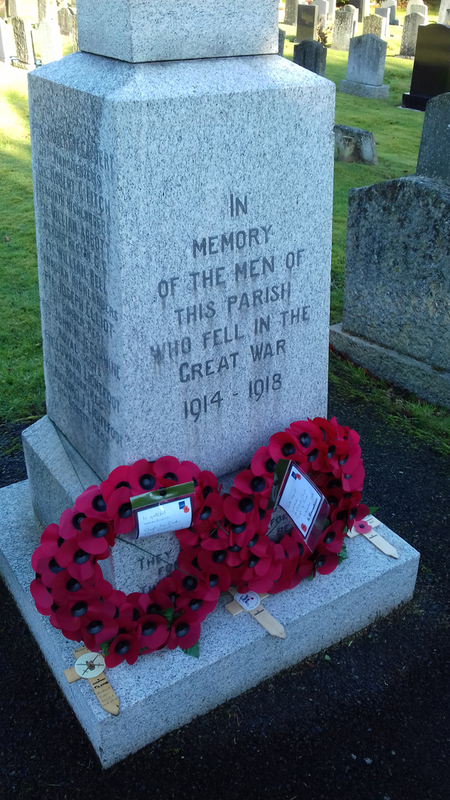 Opposite the church is their memorial. Permission had been given for us to use their indoor toilet, so a welcome relief, also as the morning service had not long finished, we were invited to join them for coffee. 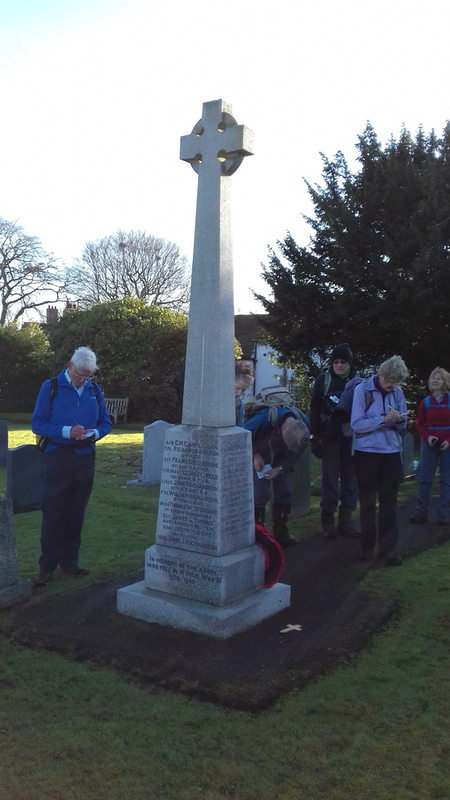 We noted the plaque to Robert Mayson Calvert born 1 March 1896 killed in action 9 July 1916, who was the Great Uncle of Clare, one of our walkers. 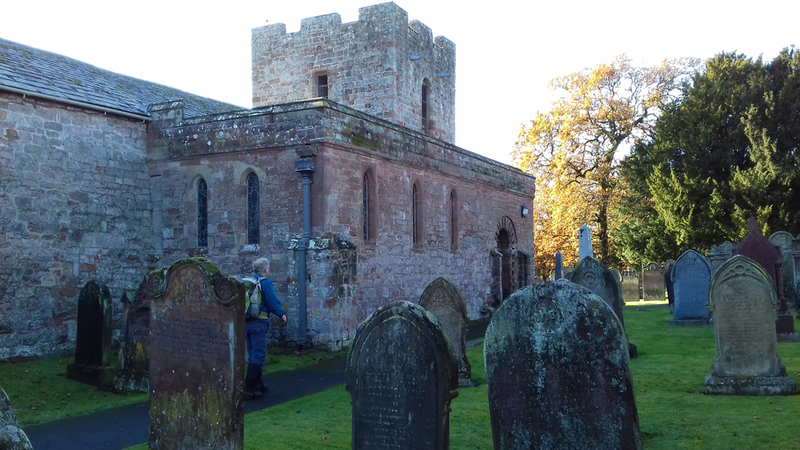 Now we start to head back, calling at St Giles, Great Orton. Their memorial had the phrase “Quae Potuere” which translates as “That I could” [using Google translate]. 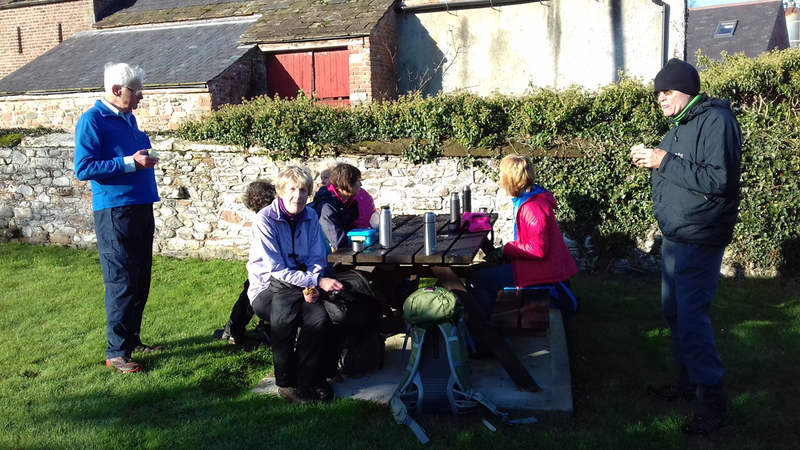 Lunch stop was a bit rough and ready making use of a stile! It was feeling a little cooler so coats were back on. Due to a ford not being fordable without being in waders our route had already been altered. The advantage was a much better walking surface using farm tracks but unfortunately this added a mile to the journey. 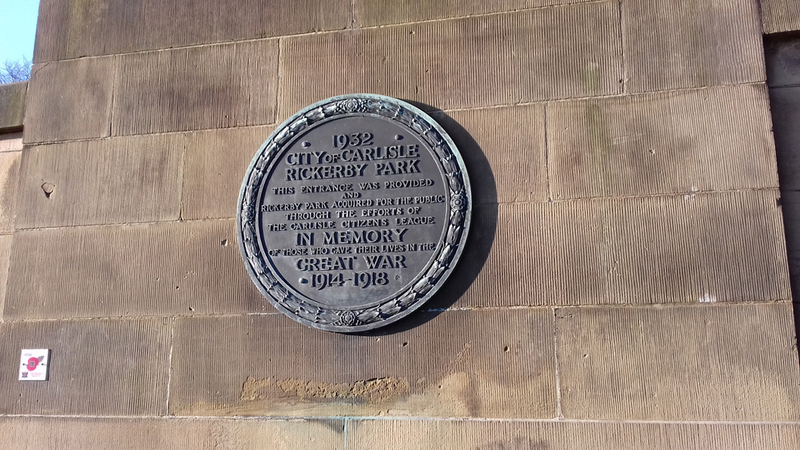 We entered Carlisle at Green Lane and then were able to take a footpath alongside the school and down the backs of the houses until we came to Newtown Road. 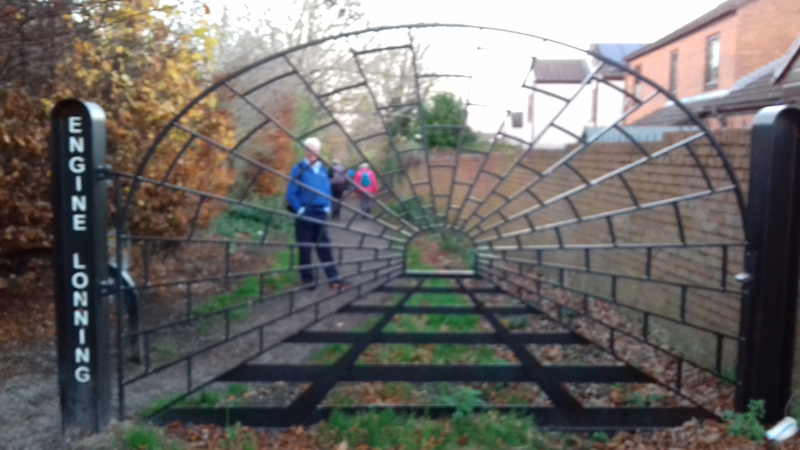 Instead of heading down the main road to the city centre we choose the quieter route via Engine Lonning and the river Eden, leading into town by passing the new Sainsbury's store and then through the Cathedral grounds. There was a lot of music and people around as the Christmas lights were officially being turned on. 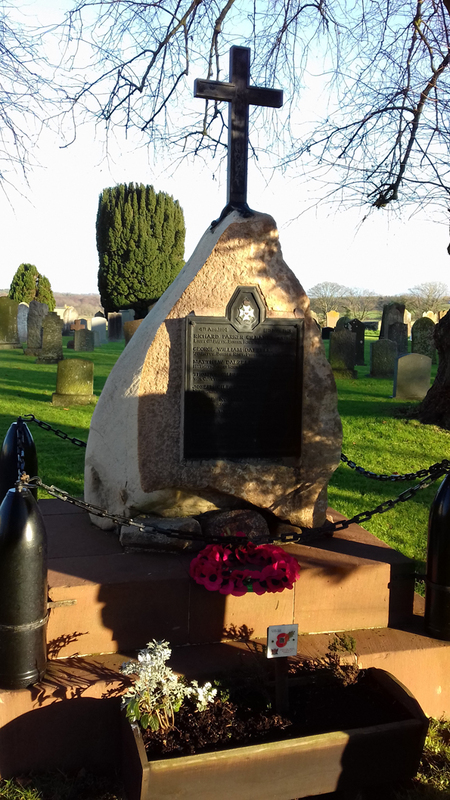 We could see the City memorial and the two paving stones dedicated to Collin and Boyle who had both been awarded VC’s, we left the town centre through the Lanes and headed back to the car park. 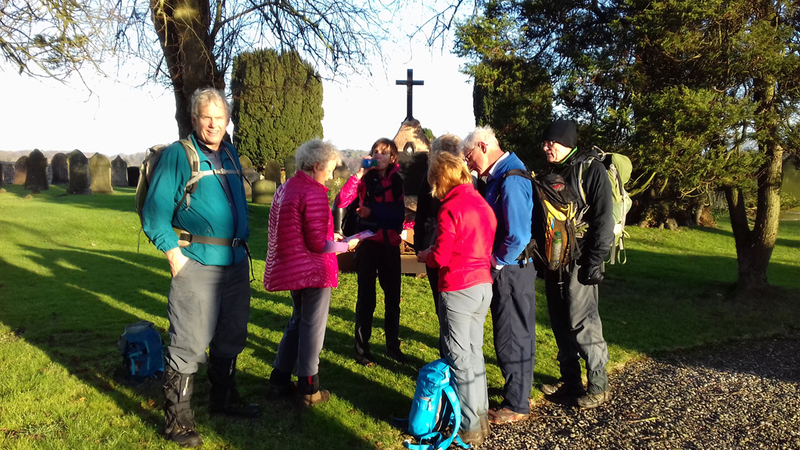 It was just getting dark, the walk had been longer than advertised, nearly 20 miles, but the terrain was easy, the conditions unseasonably warm and the quiz had been diverting. Anne and Jim won the tea towel, Pat and Dave the coaster, Louise also came second and will also receive a small reward.